Are you on the list? All photos courtesy of Flavio Angiolillo. 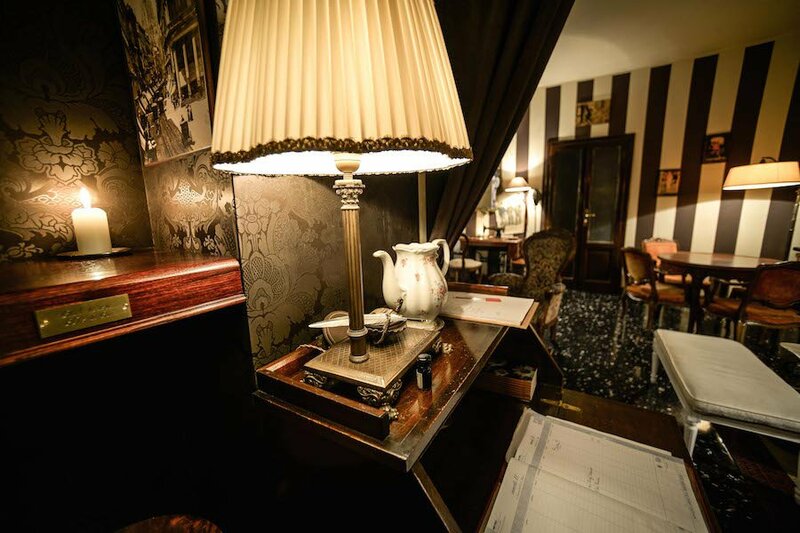 Milan's coolest speakeasy is also its most closely guarded secret. To get in, you have to know who (and how) to ask. Contributing editor Erica Firpo got the hook-up. MILAN – I was in Milan, looking for a giggle. I had heard about a bar that didn't exist. Well, at least not in the find-it-in-the-phone-book sense of existing. Rumor had it that there was an itsy-bitsy hole-in-the-wall that served delicious and beautifully mixed drinks to the few who knew the right way to ask. A speakeasy, and all I had to do was find the right way to talk up the right kind of guys for the right kind of invitation. A little bit of flirty chatter with the men of (with owners Flavio Angiolillo and Marco Russo, to be precise) and I was given a number, told to send a message, and wait for the response. Once I had the address, I crossed town (in Milan that can take twenty hot minutes if the Navigli neighborhood is packed) and landed in front of a quickie mart. One of those store that sells everything from designer water and panini to waving plastic cats and herbal medicine. (Yes, that's really their website. It's meant to be confusing.) An aproned attendant asked for my name, whispered it into a medical cabinet, and walked me through a secret door. 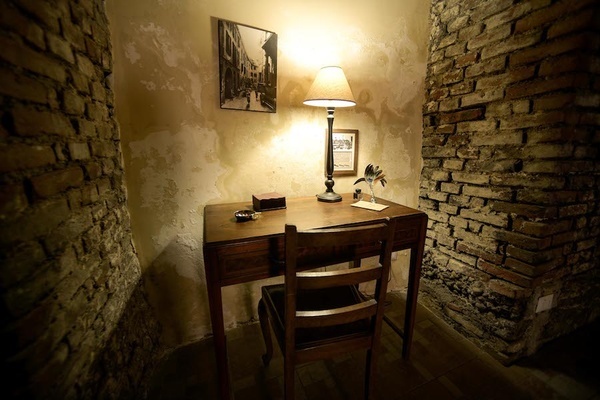 1930 is full of dark, mysterious corners. 1930. Millenovecentotrenta. It rolls off the tongue with the same ease as its delicious cocktails. Angiolillo and Russo's cozy speakeasy is hidden behind the hustle and bustle of Italy's fashion capital. First, the atmosphere. 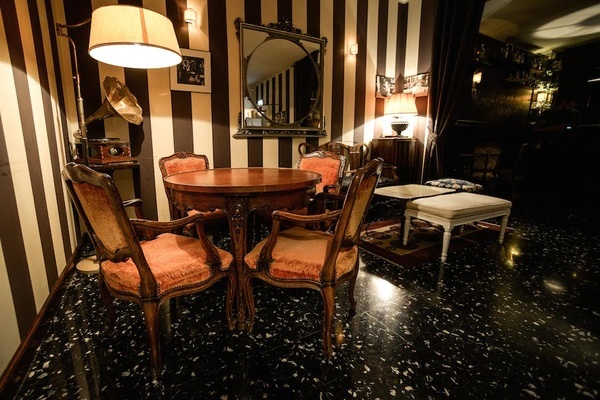 Very 1930s, with exposed brick walls, warm tones, and period furniture: gramophones, leather couches, telephone tables, and credenzas. Fitzgerald, Gillespie, Piaf, and Armstrong are on replay. The joint only fits about 35 card-carrying members, but that's the point. This isn't the party. This is the other side of things. Like all 21st-century speakeasies, 1930 is all about creativity, with a splash of cuteness. On-point bartenders with styled hair, pressed shirts, and sleeve garters mix a curated menu of cocktails that changes seasonally. I had Sushi (salmon-infused vodka with a litchi and roe) and Sherbert (Pimm's, ginger syrup, mashed lemons), then perused 1930's novella of a menu penned by Michael Love. It's filled with Love's short stories, cocktail listing, and food suggestions designed by some of Milan’s best chefs. A perfect place to enjoy a perfect drink — if you can find it. Russo, Angiolillo, and the bartenders know their cocktails and, better yet, their customers. The idea was to create a place where their friends could hang out. A sophisticated, cocktail-loving spot away from the craze of Milan, where there would be no lines to get in and lots of elbow room. The catch? Russo and Angiolillo won't tell you anything unless you know how to ask. In bocca al' lupo, as they'd say in Italian. We can't print the address, because the hunt is part of the fun. Head to Mag Cafè, order some cocktails, then ask for Marco or Flavio. Chat them up sweetly before you bring up 1930.